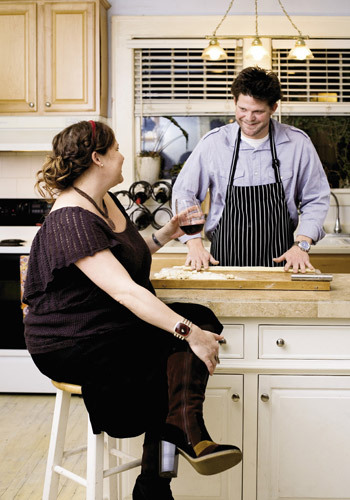 As co-owner and executive chef of Lana Restaurant & Bar, John Ondo knows all about Valentine’s Day dinners. As many as one third of all Americans celebrate the occasion by dining out, and he’s been serving sweethearts for 16 years running. Candlelit and intimate, with its popular menu of new-Mediterranean dishes cooked from local ingredients, Lana is a hot spot for a swoon-worthy tête–à–tête for two. 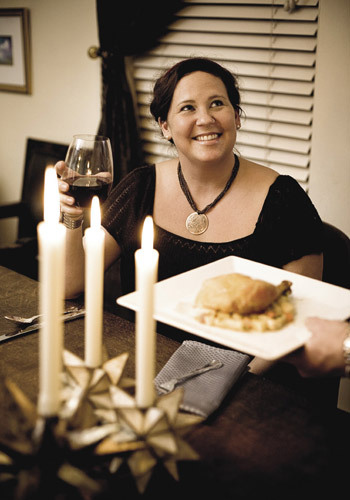 So with his new bride, Angela Hall, at his side, John made a great match for designing an at-home Valentine’s meal. With a full-time career as a jewelry artist and gallery owner, Angela’s day ends about the time husband John starts cooking the supper orders at Lana, so the possibility of a romantic sit-down dinner together is rare. 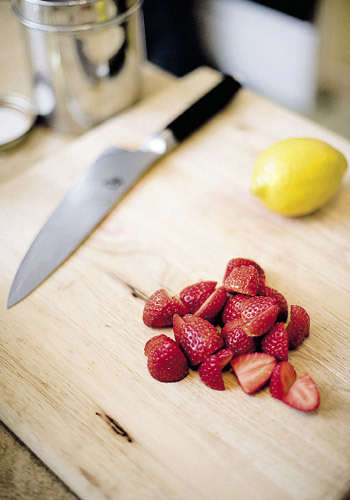 With this in mind, the chef created a do-ahead menu that doesn’t take all day to execute and, when served, doesn’t require constant dashing back and forth to the kitchen. The result? The formula for the perfect couple’s dinner. With the lighting low and the music set to your selection, you can command the table of your choice and impress your sweetie with a memorable date night in. The bonus? There won’t be any angst over the check. John and Angela prefer starting a winter dinner with a hot soup, whether served in bowls at the table or in cups by the fire. The curry powder in this sweet potato rendition delivers simultaneous nuances of hot and sweet, bringing complex flavor to the basic ingredients. 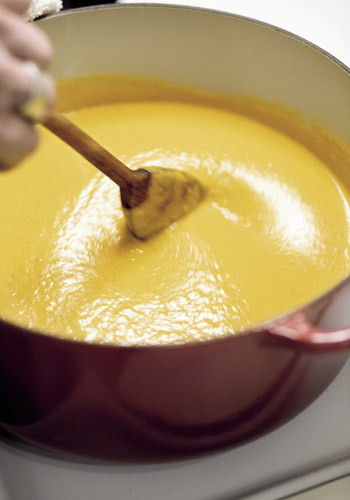 John suggests pairing the soup with a glass of a Spanish albariño or a Portuguese vinho verde. “The freshness and crisp acidity will clear your palate so that you realize a different taste with each sip,” he says. 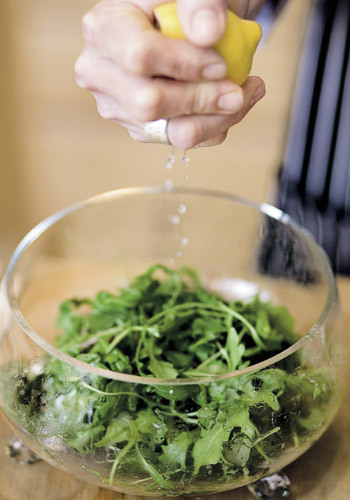 All of the elements of this simple salad—which provides an essential textural component of the meal—can be prepared in advance, leaving only the dressing to be added just before serving so that the arugula won’t wilt. Ahead of time, slice the prosciutto, crumble the goat cheese, toast the pecans, wash and dry the arugula, and juice the lemon so the assembly will take just a minute or two. The wine from the soup course can be continued with the salad, serving as a nice counterpoint to the saltiness of the prosciutto. Many a restaurant critic has judged a chef’s skill by the success of his roast chicken; New York magazine just voted it “best dish for two.” Moist and flavorful with a crisp skin, John’s would earn three stars. 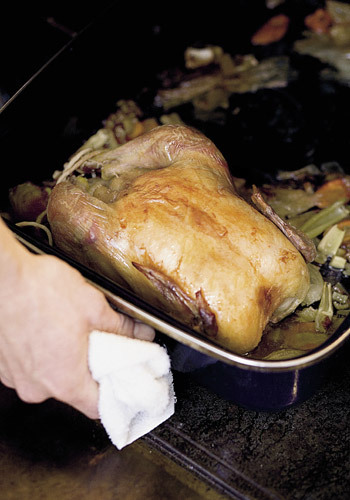 His secrets are several: a brine that includes fresh tarragon, parsley, and lemons instead of just water and salt; four hours uncovered in the refrigerator after brining to dry the skin and make it crispier; and a base of aromatics for the chicken to roast upon, which flavors the jus. His choice of side: gnocchi. 1. 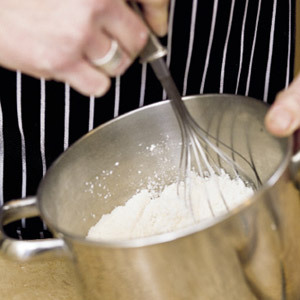 To help the potatoes absorb flour and cut down on clumpy dough, rice them while they are still warm (almost hot). 2. 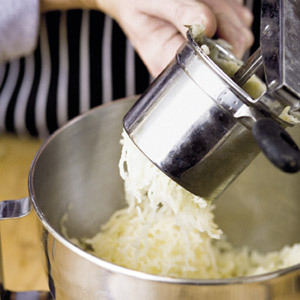 If you don’t have a screen or sifter handy, whisk the flour quickly for a few seconds to break up any clumps before adding it to the potatoes. 3. 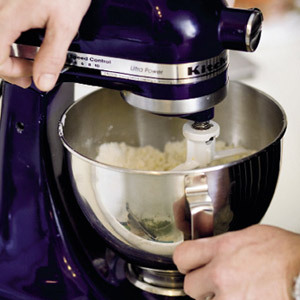 Use the paddle attachment on an upright mixer to mix the dough. Once a ball has begun to form, turn off the mixer and finish the dough by hand, just as you would biscuit dough. Overmixing releases too much gluten and leads to tough gnocchi. 4. 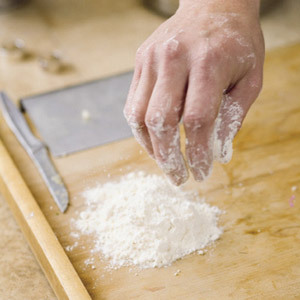 To keep the dough from sticking, place a bit of flour nearby and dust while you are rolling it. 5. 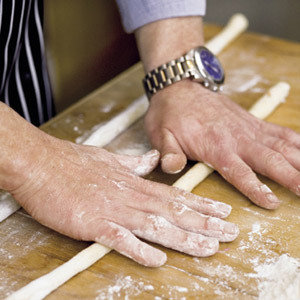 Gently roll out the dough, working outwards from the center and going back and forth to make long ropes. 6. 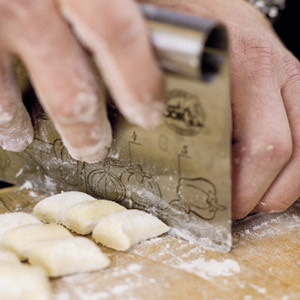 Line the ropes up four or five at a time, then flour them and cut into one-inch gnocchi. Rich as velvet and smooth as satin, zabaglione makes a sweet seduction of what would be a basic berries dessert. 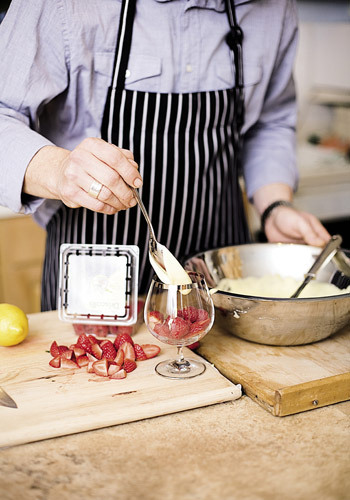 A wine-enriched custard sauce that has to be hand-whipped over a double boiler, it can also be made with vin santo, Moscato d’Asti, or prosecco. While zabaglione is traditionally served slightly warm, few cooks would want to interrupt a tender moment to tend a sauce on the stove. Happily, it will hold for an hour once cooled to room temperature. For the wine pairing, John prefers prosecco, as the sauce is Italian; not a fan of the bubbly, though, Angela would rather sip a Riesling.